Categories: Black Kampot Pepper, Red Kampot Pepper, White Kampot Pepper, Gift Packs. 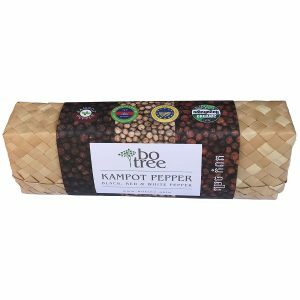 Tag: Kampot Pepper. 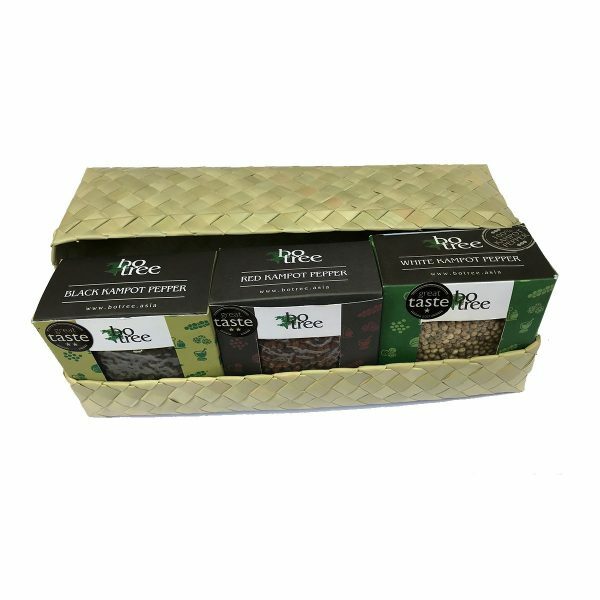 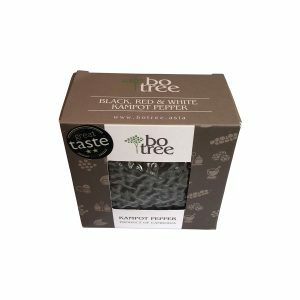 This hand made (Fair Trade) palm leaf basket contains one 90g box each of our three award-winning peppers, Bo Tree Kampot Black Pepper, Bo Tree Kampot Red Pepper and Bo Tree Kampot White Pepper. A great gift for anyone who likes to cook and to experiment with the different types of pepper.